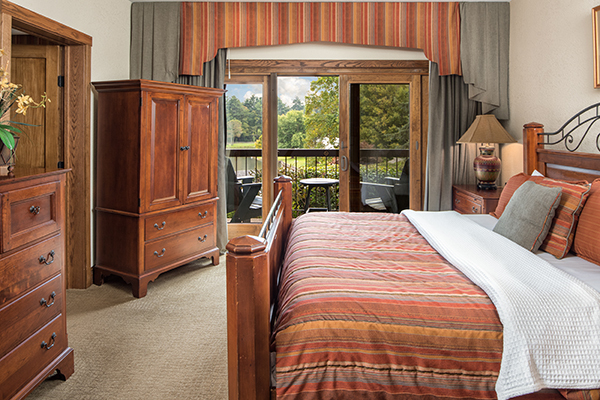 Chetola Lodge has 42 newly renovated and well-appointed rooms with views of Chetola Lake or overlooking the grounds. 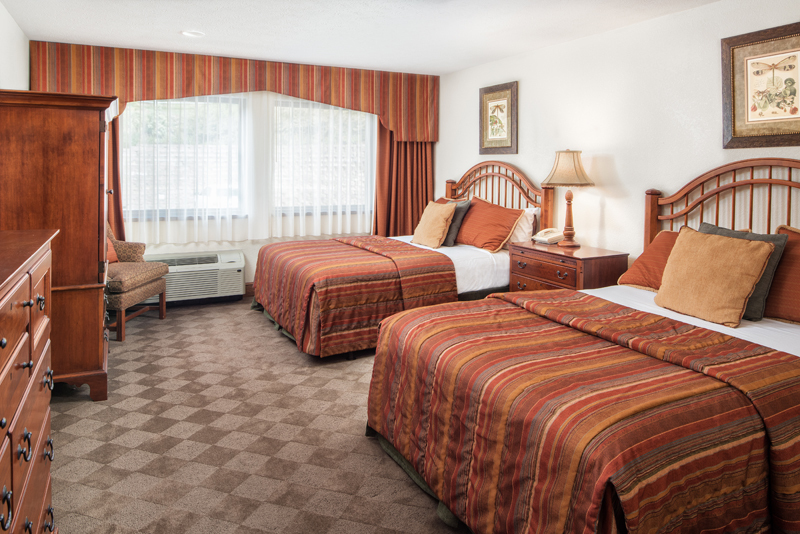 Rooms are large and feature two queen beds or one king-sized bed. 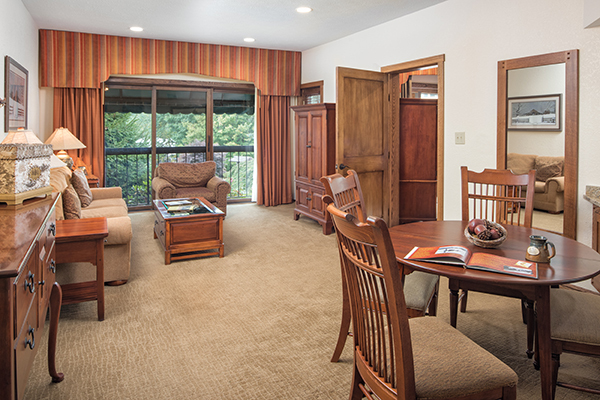 The Lodge also features 5 Bob Timberlake Suites. Breakfast - Each room reservation in Chetola Lodge is entitled to 2 breakfasts each day of stay. Ages 12 and younger are free; breakfast for each additional person 13 and older is $14 per person. 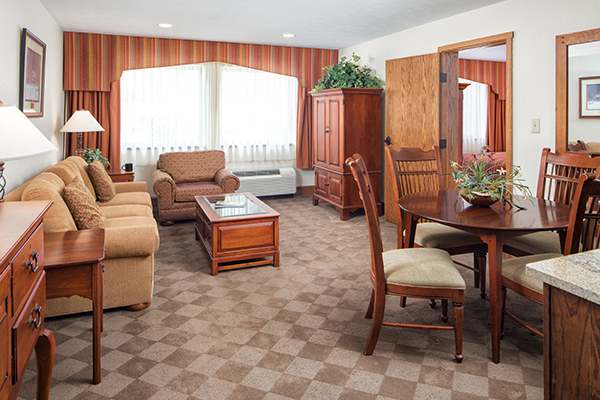 MINIMUM STAYS are required for some weekends, holidays, and special events. SEASONAL SURCHARGES are required for some weekends (July, August, October) and holidays. Pack-n-Plays and rollaway beds are available for $10 per day. CHECK-IN TIME IS 3:00PM ; CHECK-OUT TIME IS 11:00AM . NO PETS ARE PERMITTED ON THE PROPERTY. 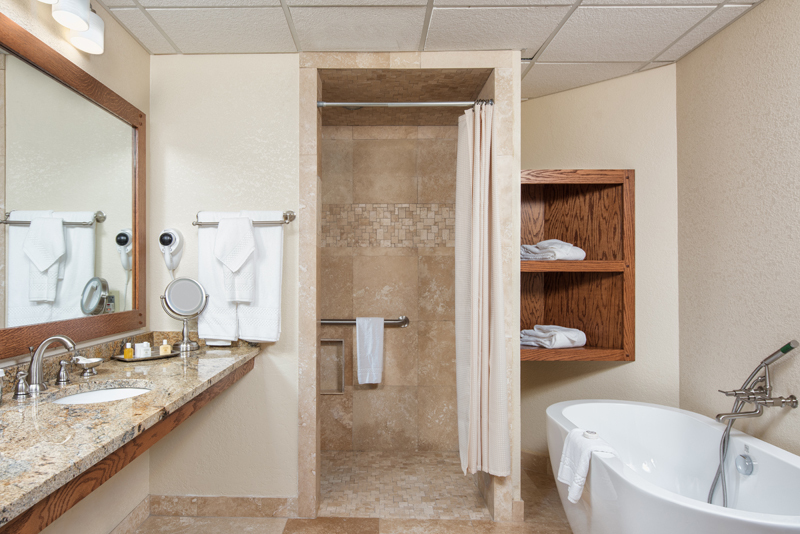 A PHOTO ID AND A VALID CREDIT CARD WITH AN AVAILABLE LINE OF CREDIT FOR THE TOTAL AMOUNT OF THE STAY IS REQUIRED TO CHECK IN. SMOKING POLICY: ALL ROOMS IN CHETOLA LODGE ARE NON-SMOKING. Advance reservations are recommended. Major credit cards are accepted for guaranteeing reservations. Prices above do not include state tax or occupancy tax. Payment made with cash, American Express, Mastercard, Visa, Discover Card, Traveler's Checks, or personal check (with proper identification and a major credit card.) Debit cards are not recommended. A Photo ID and a valid credit card is required at Check-In. Seven-day advance cancellation notice is required for a refund. Requests for date changes will be subject to availability. Rates are subject to change without notice. Services and amenities do not apply to group bookings.